Drawing Liverpool in the Champions League holds no fear for Bayern Munich goalkeeper Manuel Neuer and manager Niko Kovac, who gave his side a 50-50 chance of advancing. 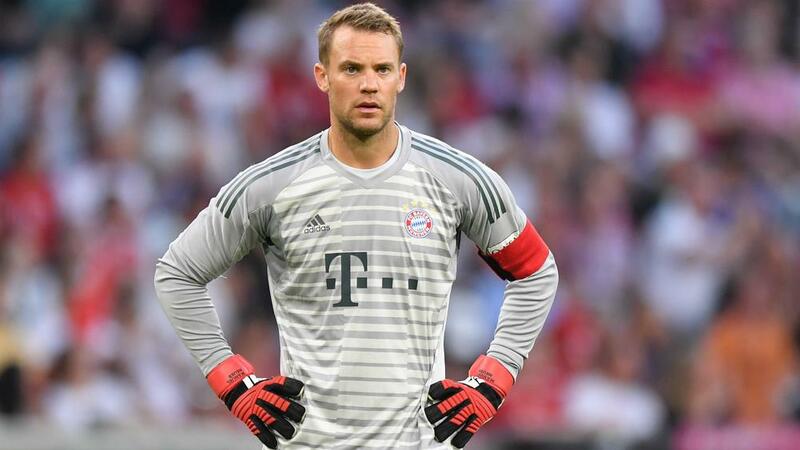 Manuel Neuer is confident Bayern Munich can beat Liverpool in the Champions League, claiming Jurgen Klopp's men are "vulnerable". The European giants were paired together at Monday's draw, with the two round-of-16 legs to be played in February and March. Liverpool will hope to be still on top of the Premier League when the games come around – they moved back to the summit thanks to Sunday's 3-1 defeat of Manchester United at Anfield – while Bayern will expect to have closed the nine-point deficit to Bundesliga leaders Borussia Dortmund. Irrespective of their differing domestic seasons to date, facing the Reds holds no fear for experienced Germany goalkeeper Neuer. He told the club's official website: "They're having a very good season and we know they were in the Champions League final last year. "They certainly won't be delighted with the draw, either. "They can counter quickly and they're dangerous in front of goal, but they're also vulnerable, as we've seen, and they'll be up against a good Bayern attack. "It'll be a great game both at Liverpool and also at home at the Allianz Arena." Bayern's under-pressure boss Niko Kovac did not rate his team's chances as greater than 50-50. He said: "We can all look forward to such a great game. It’s the toughest draw we could’ve been given. Liverpool got to the final last year, they’re top of the Premier League and one of the favourites for the Champions League. "We're Bayern Munich, though, and I'm sure Liverpool know they've got to come here to Munich for the second leg. The chances are 50-50. We'll see what happens. I'm very confident we'll get through." Bayern sporting director Hasan Salihamidzic said Liverpool were "the team of the hour" while Arjen Robben described it as an "epic match". The Dutchman, who is leaving Bayern at the end of the season, said: "It's an epic match. Liverpool are a super team who have gone through a great development. "They have big players, a lot of pace and creativity in attack and they're a real unit. The atmosphere will be phenomenal. It's just a great draw. It's a dream for every player to be involved in a game like this."